In one of my other lives, I’m a bit of a health-food-freak, which I have discovered is a very effective way to chase your teenage/young adult children out of the house. Recently I’ve been trying to lure them back in by making my own yoghurt from Kefir grains; which at first glance seems simple enough. You get yourself some ‘live’ Kefir grains; mine were a gift from a friend; add organic milk, put them out in daylight (not sunlight) for about 24 hours, open the lid and bibbedi babbedi boo, a very healthy yoghurt you have, full of natural probiotics. Why all this talk about Kefir grains you may wonder, when all you’re waiting to hear about is news from the Bloodlines-Traces front. not realizing that the paper label that partly covered the glass jar, prohibited the daylight from starting the fermentation process, as such leaving the Kefir runny. Only after a few days did I realize I needed to take off these ‘shades’ for the kefir grains to effectively do their work. How does this compare to Bloodlines-Traces? Well, last week we received an e-proof of our long awaited sequel and were thrilled, if not simply because of the fact we had come to the end of an almost 5-years roller coaster writing ride. The internals however, as they are called in publishing land, made us scratch our heads. While printing proof copies during the writing process, we simply condensed A 4 pages written in a 14 point font; to A5 sized books in a 12 point font, which makes a great read. The design of Bloodlines – Traces however, as copied from the size of Bloodlines- Touch Not the Cat does not resemble size A5. The dimensions are higher in height and smaller in width. Inexperienced as we were, being self publishing first-time internal book designers, we had created a file that did not fit the margins. For the printer of our manuscript to fit the text into ‘Bloodlines’ shape, the font had to become even smaller, while only three quarters of the pages was filled with text, making all pages look as if they had an early ending. Now ONE DAY, when Bloodlines -Traces has become a bestseller , this first proof copy will become a collectors item, but for now, we decided we needed to produce a better product for our readers and are formatting a proper ‘Bloodlines shaped’ file. 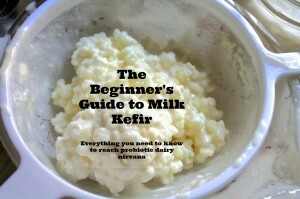 To go back to the Kefir: we have taken off the shades and are working on it again.